Riverside is home to over 300,000 residents and has many advertising and billboard opportunities. The University of California-Riverside located in northern Riverside has various out-of-home advertising possibilities especially for local advertisers looking for cheaper billboard prices. Sports-related advertising opportunities can be used in the Riverside Sports Complex, where digital signage advertising would reach high levels of traffic. 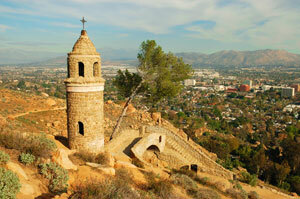 There is also a tourism industry in Riverside as it has one of the original two navel orange trees in California. This and other attractions like the California Museum of Photography draw crowds from across the country creating an effective advertising opportunity. Three major highways serve Riverside. Billboards on I-215, State Route 60, or State Route 91 are just examples of the outdoor advertising possibilities Riverside has to offer.